-Nickname(s): Sparkle, Miss Sparkle, Sparky, Sparks, SC. -Bio: Sparkle was born in the crystal empire 1000 years ago, a couple months before Sombra took over. Once Sombra had taken over the empire, he tried to take her away from her parents, since he wanted her magic. In order to protect her, her parents used a time spell to send her 987 years into the future, where she would grow up in Manehattan. Sparkle spent most of her life in Manehattan, growing up in a small apartment in the Manehattan apartment complex. She attended the Manehattan Academy for the Arts, where she studied music and singing. She earned her cutie mark when she performed a song she wrote herself at her friend’s cutie mark celebration. The song had mesmerized everyone, and her voice seemed to be supernaturally good. Because the school she attended didn’t offer magic classes, Sparkle didn’t learn how to use her magic until she was 9. Until this point, most of the other ponies at school mocked her for her lack of ability to use magic, and called her “defective.” Because of the teasing, Sparkle decided to try and learn magic on her own. She spent 2 years learning and perfecting her magic, and the first spell she ever used was a voice alteration spell, when she had temporarily made her voice sound like Morgan Freemane’s by accident. After learning a decent amount of magic, Sparkle decided to take some time off to socialize more and go around performing at Open Mic events at Cafés. At one of these Open Mic events, Sparkle met a radio show host and musician from Manehattan Records, named Rhythm n’ Blues. Rhythm thought that Sparkle had talent, so he offered her an apprenticeship at the studio, to which she happily accepted. When she wasn’t studying with Rhythm n’ Blues, Sparkle would use his studio to record her own radio show, where she would review media and sing songs. Sparkle has a small build, and is slightly taller than the average mare, standing at 4”2. She has a skinny body and longer legs, and her horn is about average size. Her hair is of medium length, and is slightly curly. She wears her mane down most of the time, but occasionally puts it into an updo. Her most standout feature is her large, sparkling yellow eyes. In addition to the 2 white highlights, there is also a small “sparkle” that is always present in her eye. This “sparkle” changes in size depending on her mood, with it growing when she is excited or happy, and shrinking when she is sad, angry, or frightened. Her mane is sapphire blue with platinum highlights, and her coat is a diamond blue color. When she is extremely happy, Sparkle will start to literally sparkle, and will give off little glitters. This is due to the fact that she is part crystal pony. Since crystal ponies use the love and light within them to power the crystal heart, the sparkles that Sparkle emits when she is happy is part of that energy. -Attitude: Sparkle is an extremely optimistic, caring and trusting pony. She’s the kind of mare who always cuts her Sunflower butter and jelly sandwiches in the shape of a heart, and breaks into song at any given moment. She always tries to see the bright side of every situation, and is almost never in a bad mood. And when she is, it’s never for long, and she’s typically back to her normal, sunny self in no time! She is also very trusting of others, and prefers to travel in a group rather than go it alone. Sparkle cares deeply for her friends, and is concerned for their well being constantly, so if any of them are put in danger, she begins to panic, stressing out until the danger is resolved. Although initially she seems like she’s clueless and a bit ditzy, Sparkle is secretly very clever. She is also capable of coming up with creative ideas for her unicorn magic, and will often invent variations of spells for whatever she needs in the current situation. However, she doesn’t feel that she is clever, and probably won’t believe you if you tell her she’s a genius. Sparkle often uses her natural charisma and adorableness to wiggle her way through sticky situations, and is usually able to get what she wants through use of her signature pouty face. Sparkle is an expert at coming up with crazy plans that defy all logic, but she usually acts a bit hastily, and her plans usually backfire. Sparkle is also very ambitious, and if she sees an opportunity that may benefit her, she’ll chase after endlessly until she is able to get it. Sparkle is a bit of a hopeless romantic, and loves to imagine fairytale romances, even though she never imagined one for herself. Sparkle is also extremely oblivious, and often does not notice when somepony is being sarcastic, or is interested in her. However, if Sparkle falls for somepony, and is teased about it, she will become very flustered, and begin stammering uncontrollably, unable to finish a single sentence. Sparkle is also a huge dork, and is obsessed with adventure stories and mystery novels. She loves to write fanfiction of her own, and also enjoys things like roleplaying. Due to her magic training, Sparkle spent many of her years in isolation, and has become relatively awkward around ponies, and sometimes has trouble talking to them. -Flaws: Sparkle is the kind of pony who leaps before she looks, and falls hard afterword. Due to her rather spontaneous nature, she’ll often end up dangling off the edge of a cliff because she was chasing a villain. Although her intentions are good, she will often end up in quite a heap of trouble when she’s trying to help. Sparkle is rather sensitive, and is easily hurt, often taking teasing literally, only realizing after that the teaser was just joking. Due to her rather sensitive nature, Sparkle is rather quick to cry and express her feelings, especially if a friend is hurt, and sometimes this leads to awkward situations. Sparkle also has a habit of misreading situations, and will sometimes say the wrong thing, leading to more awkward circumstances. She also has terrible timing, and often speaks up or acts too early or late, leading to even MORE awkward situations. Since she spent 2 years in isolation while practicing her magic, and is only spending time with other ponies as of recent, Sparkle is still adjusting to socializing, and is sometimes very awkward when talking to ponies. Sparkle is a fan of practicing magic, but when she is learning a new spell, it more often than not backfires, leading to catastrophic events, temporary memory loss, and sometimes genetic alterations, which can be reversed. Although she appears upbeat and positive most of the time, Sparkle is secretly very lonely at times, and due to being teased so much when she was little, doesn’t think very highly of herself. However, spending time with other ponies seems to lift her spirits quite easily. Since Sparkle has never been outside of Manehattan before, she lacks a sense of danger or fear, and if she encounters something new and exciting (even if its potentially dangerous) she will often charge for it head-on. To some ponies, this may seem like fearlessness, but in reality, its really just recklessness. Since Sparkle has a weaker magic aura, and didn’t learn to use her magic until later in life (and was teased because of it) she is very insecure at times when it comes to her magic. She occasionally lacks confidence in her magical abilities (which, although are not phenomenal, are better than she thinks.) and will sometimes belittle herself, telling herself that she is weak, or is too inexperienced to perform a certain spell. Sparkle also has a horrible sense of direction, and can get extremely lost very quickly if she strays from her route at all. Literally just getting distracted by one object can completely turn her around. Due to this, she always carries a map with her, in hopes of not getting lost. Unfortunately though, this doesn’t help much. -Least Favorite Food: Potato Chips, Hayburgers. -Favorite Song: It Started With Your Smile, by Mandopony. -Favorite Book(s): Daring Do and the Forbidden City of the Clouds. -Favorite Book Series: Daring Do Series. -Quirks/Trivia: She loves to roleplay. When she is extremely happy or excited, she will start to sparkle. She is a terrible cook. She is somewhat skilled at ice skating. 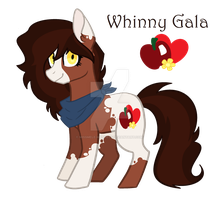 -Best friend(s): Goldenheart, Jennifer (who is from an alternate timeline), Keldeo, Cinnamon Swirls, Harmony Beat, Comet Tail. -Hobbies: Singing, Practicing her magic, Reading, Ice Skating. -Occupation: Apprentice of Rhythm n’ Blues at Manehattan Records. -Hopes and Dreams: To go out into the world, and explore new things. -Cutie Mark: A musical staff with 3 colored notes and sparkles: to symbolize her love of music and ability to create three-part harmonies with only one voice using her magic. -Abilities/Talents: she has Perfect Pitch, and also has super hearing, and can hear things other pony’s cant normally hear, and also things that are far away, unfortunately, this means her hearing is rather sensitive, and simple sounds like squeaks bug her immensely. -Spells: Teleportation: every unicorn has a spell that he or she does best, and Sparkle’s is teleportation. Sparkle’s teleportation magic has a much wider range than most unicorns, allowing her to teleport across massive distances, and potentially halfway across Equestria(she did this on accident once, and she had a hard time teleporting back.) Sparkle can also teleport multiple ponies at once, although this does cause strain on her. Hammerspace Spell: this is a spell sparkle invented herself, it allows her to store or remove objects from an alternate dimension she calls ‘hammerspace.’ But to other ponies it just looks like she’s pulling stuff out of thin air and making it disappear again. Tracking Spell: Sparkle can use her magic to track lost or missing items by emitting a signal from her horn to pick up on their energy. This spell does not work on ponies. Healing Spell: Sparkle has access to basic healing magic, but since healing magic is a highly difficult spell(and her magic aura is considered to be on the weaker end of the spectrum) Sparkle cant exactly perform this spell correctly. Instead of just healing ponies, it actually drains some of her own life energy as well when she uses it, and she basically ‘takes the injury onto herself.’ For example, if a pony had a cut on their left hoof, and Sparkle were to use the spell to heal it, the cut would be healed, but it would be on her left hoof instead. In addition, Sparkle cant use the spell to cure illnesses, only physical injuries. She cant use it to revive ponies, and because of the damage it does to her, she cant do massive or large physical injuries, only smaller ones like cuts or scratches. She also cannot use it to heal herself, due to the paradoxical way the spell is set up(every time she uses it she takes the injury onto herself, thus using the spell on herself would do nothing.) the spell also gives her a massive headache when she uses it, since it is so difficult, so Sparkle has learned to not use this spell often. Decibel Adjustment Spell: Sparkle can use her magic to alter the volume levels of sound waves. Voice Alteration Spell: Can be used to alter the pitch, sound, speed, and inflections of a pony’s voice. This was the first spell that Sparkle used. Voice Replication Spell: an alternate version of the Voice Alteration spell. This spell can be used to adjust the users voice to sound identical to anypony’s voice. The user can only copy voices they have heard though. Pitch Pipe: Sparkle can use her magic in combination with her perfect pitch to act as a sort of pitch pipe. She can recreate any note with her magic by altering the sound vibrations in the air to the correct pitch. Crystal Making Spell: Due to her being part Crystal Pony, Sparkle has the ability to make crystals with her magic. She doesn’t know she can use this spell though, and has only accidentally used it as a filly. A: Since Sparkle's character was designed with RPing in mind, I gave her a healing spell so if she was in an RP that involved different types of combat, she could fall under the healing specialized category instead of attack specialized or defense specialized. The spell has many limits in order to make sure that it's not too overpowered, and so it can't be overused. Q: Why is Sparkle 4"2? A: Sparkle Chord is supposed to be slightly taller than the average mare. The height 4"2 assumes that an average mare is around 4"0. Thus, Sparkle is about 2 inches taller than the average mare her age. Q: What is Manehattan Records? A: Manehattan Records is a record company that I made up. Since Manehattan would probably have a record company, and there weren't any canon ones (as far is I'm aware) I decided to make up my own. A: Well, the way I see it, Sombra was a stubborn, evil tyrant who was always seeking power. And as a result, he would go after any power he could get. Since Sparkle had a somewhat rare variety of magic, Sombra wanted it for himself. In the detailed version of the backstory, it says that Sombra tried really hard to get Sparkle's magic. He didn't give up easily because when you're an evil stubborn tyrant, you're probably not going to just give up after you fail once or twice. Anypony else who was targeted by Sombra would've had the same response from him, but since this story focuses on Sparkle, she's the only one you see it happening to. Q: Why did you make Sparkle a crystal unicorn if she doesn't have her crystal coat? doesn't that ruin the point of it? A: I made Sparkle a crystal unicorn since I identify most with unicorns, but I also love crystal ponies. The decision to remove her crystal coat originally had to do with the fact that at the time of writing that part of her story, I didn't want to redraw all of my poses for my reviews. But the main purpose now is for story reasons, so I can have her discover that she's a crystal unicorn and regain her crystalline appearance in a future story. 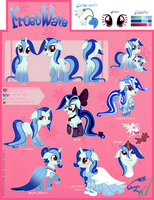 Q: Why is there a "detailed version" underneath each part of Sparkle's backstory? A: The backstory featured in this character sheet is an abbreviated version of the full story. Each paragraph of the summary has it's own short story, that describes each paragraph in further detail. So if you have any questions in the summary, or would like to read a longer version, then you can simply click the links to the stories! Q: Why doesn't the school Sparkle attends as a filly offer magic classes? A: From what I have observed in the show, Manehattan seems to be primarily inhabited by earth ponies. Since there is a lack of unicorns in the city (at least in the show) a general school like the one Sparkle attended probably wouldn't offer magic classes, especially since the school she attended specialized in the arts. If Sparkle were to have magic classes at school, she would have to attend a school that specializes in magic. So, that's just about it! If you have any further questions, leave a comment below and i'll do my best to answer them! Thanks! ^^ He's around 6. May I start? Sweet Celestia, this is a LONG slog to read through! TO be honest, I dig it. I like the poses too. They're very pretty and they look very professional. I can't pay; my mom would have my hide if I used my card for something other than groceries... But that's pretty nice of you.